An association of canine breeders and handlers. A good resource for those interested in pure breeds. An incredible source for information about US and International cities. Primarily focusing on arts and entertainment. What better way to show you love your pet than a dream vacation at The Kennel Club LAX, the antidote for kennelization!  Leading in international air cargo industry. Since 2000 Pet Peoples Place have been the trusted source of pet supplies and information for over a million pet lovers. Sterling Henry Migration Services provides a full range of Australian professional migration and property services. A large pet travel site featuring a directory of over 37,000+ pet friendly bed and breakfasts, hotels, inns, motels, and resorts. Also, free pet travel guides and newsletter. This is a great weather info site for traveling, with hourly departure and arrival forecasts for 150 US airports! Dogs, cats and most other warm blooded animals transported in commerce are protected by the Animal Welfare Act (AWA). The U.S. Department of Agriculture’s (USDA) Animal and Plant Health Inspection Service (APHIS) enforces this law. APHIS’ shipping regulations help ensure that people who transport and handle animals covered under the AWA treat them humanely. Airlines and other shippers are affected by regulations established to protect the well being of animals in transit. Be sure to have your pet examined by a veterinarian to ensure that it is healthy enough to travel. Airlines and state health officials generally require health certificates for all pets transported by air. Health certificates must be issued by a licensed veterinarian who examined the pet within ten (10) days of travel. Your veterinarian will be able to provide you with the required vaccinations or treatments needed to satisfy government requirements. Dogs and cats must be at least eight (8) weeks old and must have been weaned before traveling by air or ground. Travel kennels must be enclosed and allow room for your pet to stand, sit, and lie in a natural position. They must be easy to open and strong enough to withstand the normal rigors of transportation. Kennels must have three sides of ventilation for domestic travel and four sides for international travel. Kennels must have two water dishes that can attach to the kennel door and have absorbent lining and adequate bedding to accommodate your pet’s comfort. We recommend that you purchase your pet’s travel kennel well in advance in order for your pet to gradually acclimate to it. USDA approved travel carriers are available for purchase upon request. Hawaii, U.S. Territories (i.e. American Samoa, Guam), and certain foreign governments (i.e. Australia, Hong Kong, New Zealand, United Kingdom, Singapore, South Africa), have quarantine and health requirements for arriving pets. At Pacific Pet Transport, we look forward to assisting you with this time consuming and often confusing process. No airline will guarantee acceptance of a pet it has not seen. Important considerations for acceptance of pets include the health and disposition of the pet, proper health certificates, and kennel marking and sizing. Airlines also require that, if wheels are installed as part of a kennel, they be removed or rendered inoperable prior to transport. This prevents kennels from rolling, protecting both the pet and airline employees. USDA assigns airlines the final responsibility for determining the safety and compliance of the kennels they accept. Airlines generally transport animals in the cargo department of a plane. In doing so, the airlines advise the flight crew that animals are onboard the aircraft. Some airlines allow passengers to carry their pets in the cabin of the plane if the pets are capable of fitting under the passenger’s seat. Carry on pets are not protected under the AWA. Airlines must comply with USDA APHIS guidelines on allowable temperature limits for animal-holding areas. Furthermore, airlines are not required to carry live animals and they reserve the right to refuse to carry a pet for any reason. Instructions for feeding and watering your pet over a 24-hour period must be attached to the kennel. The 24-hour schedule will assist the airline in providing care for your pet in case it is diverted from its original destination. Pet shippers and pet owners are required to document that the pet was offered food and water within 4 hours of transport and the documentation must include the time and date of feeding. Food and water dishes must be securely attached and be accessible to caretakers without opening the kennel. Food and water must be provided to puppies and kittens every 12 hours if they are 8 to 16 weeks old. Mature pets must be fed every 24 hours and given water every 12 hours. Information courtesy of the USDA-APHIS.